Chicken and Givin’ Dinners at The Farmhouse at Jessup Farms. 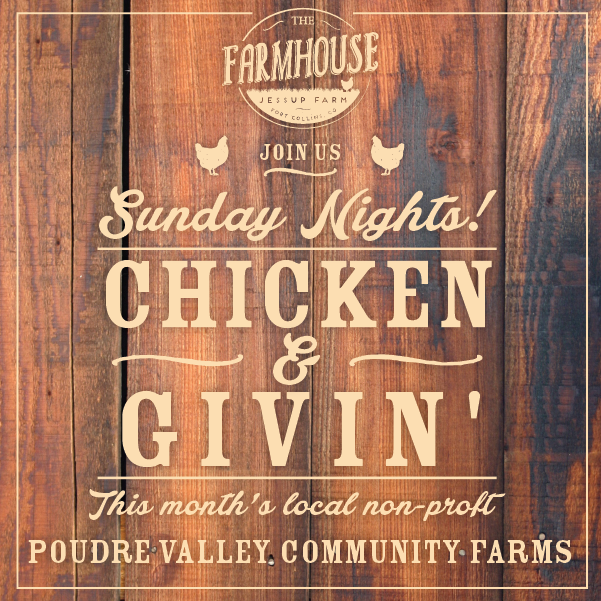 Every Sunday in July, head to The Farmhouse for dinner from 4 – 9 pm a portion of the proceeds from all meals will be donated to Poudre Valley Community Farms. PVCF Board Members will be there for dinner on the following evenings around 6:00 pm – come join us!